Sproghub Preschool is website for Play school. Website is very attractive as many colors are used cartoons are used. Here one can find all information about Play school, timings, parents section, different programs, Photo gallery. 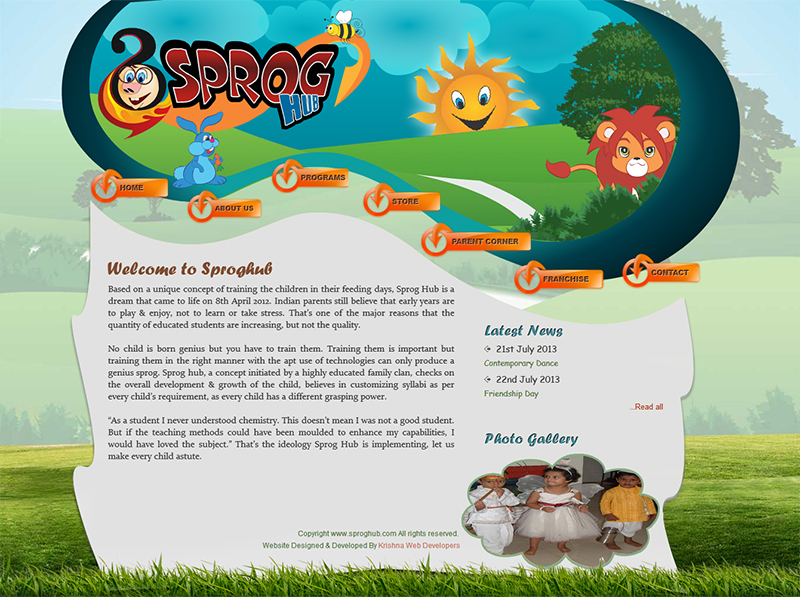 Based on a unique concept of training the children in their feeding days, Sprog Hub is a dream that came to life on 8th April 2012. Indian parents still believe that early years are to play & enjoy, not to learn or take stress. Thats one of the major reasons that the quantity of educated students are increasing, but not the quality.